This year for some reason there are plenty of new birds showing up at our door step. Not complaining, we enjoy them all. Today it seems a black body, blue head and yellow eyed bird showed up. 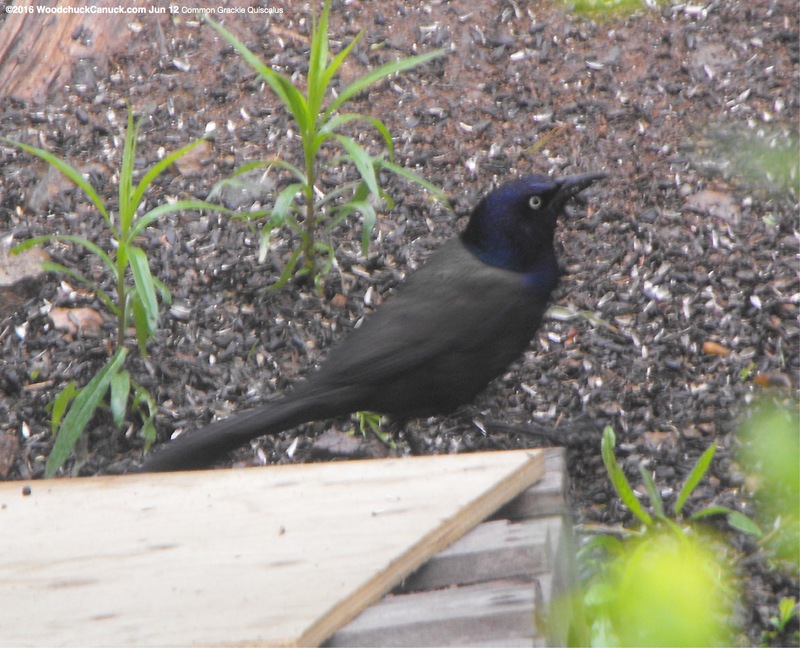 A search says its a Common Grackle Quiscalus.